With the growing popularity of 6mm cartridges in precision rifle competitions, the 6mm BR and its variants have quickly become a go to choice for top competitors in both the PRS and the NRL. 6mm BR variants come in a few varieties including 6mm BRA, 6mm BRX and the most notorious, 6mm Dasher. The limiting factor for competitors running 6mm BR variants has been feeding. Until now, the only option has been to purchase an AICS pattern magazine and also an additional kit to make the magazines work with the shorter cartridges. This solution costs upwards of $100 or more and can require additional tuning to work in most rifles. 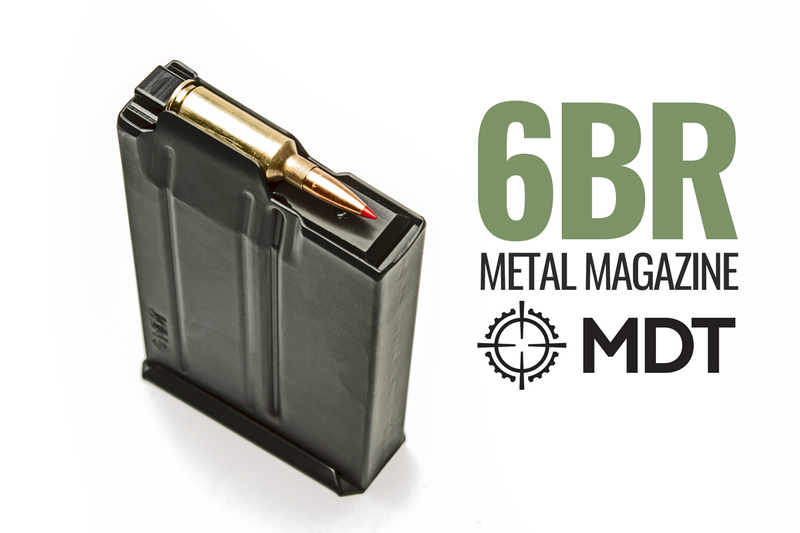 MDT is proud to announce the addition of the 6mm BR AICS pattern magazine. Available in 12 round capacity, the new magazine is a one-step solution for feeding your 6mm BR variant rifle. With a maximum allowable internal length of 2.580″, the MDT 6mm BR mags will accommodate many different bullet seating depths. Manufactured from high quality steel and nitride treated for ultimate durability. It is finished with a coat of black Cerakote Elite Series paint inside and out for corrosion resistance and low friction. To reduce friction between cartridge and magazine body as much as possible we’ve also added two internal ribs which provide a smooth transition from double stack to single feed. The MDT 6mm BR magazine Is the one step solution smooth, reliable feeding for the most popular rifle cartridges in precision rifle competitions. Available online at MDTTAC.com or at your local dealer. 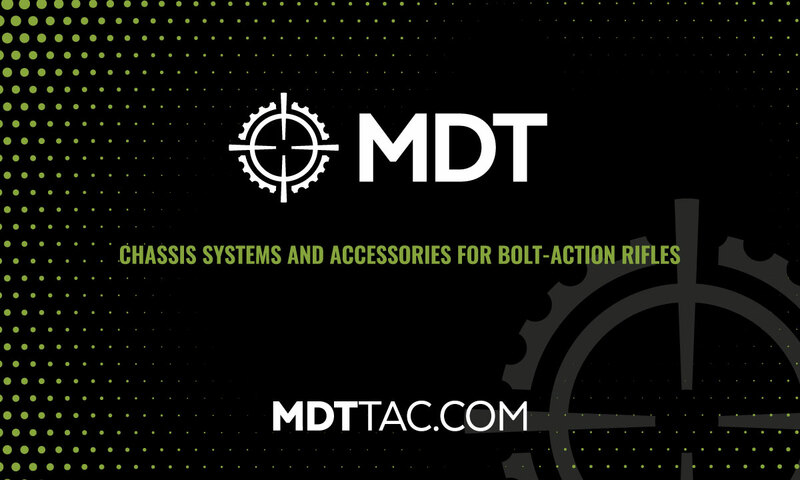 MDT produces chassis and accessories for bolt-action rifles used by precision rifle shooters around the world. MDT’s mandate is to promote and elevate the precision shooting experience by developing relevant, quality products that help people Shoot Better. This entry was posted in magazines and tagged 6BR, 6mmBR, bench rest, MDT. Bookmark the permalink.